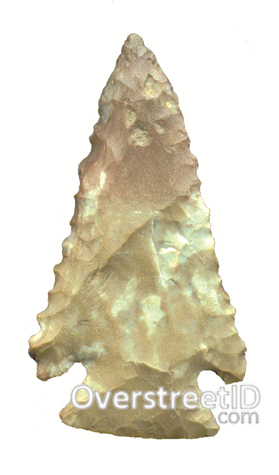 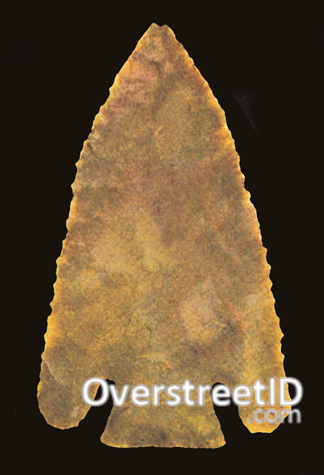 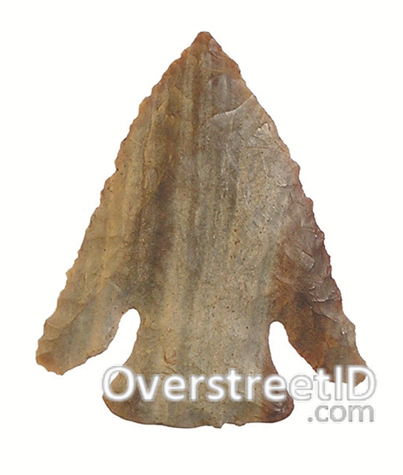 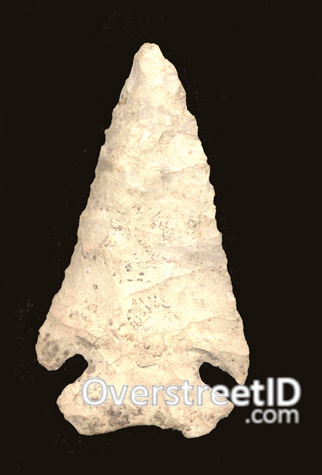 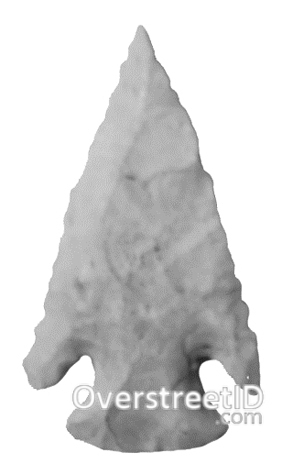 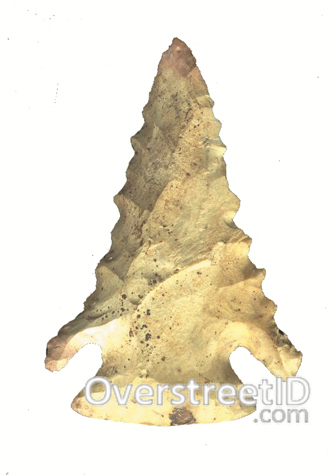 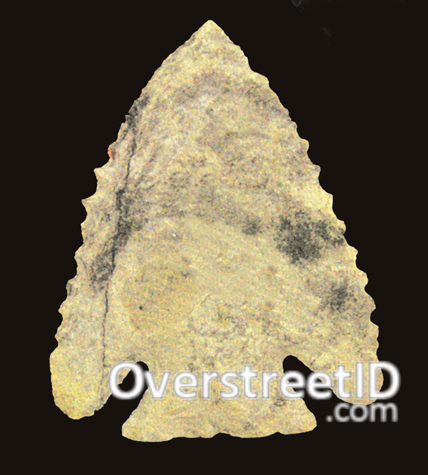 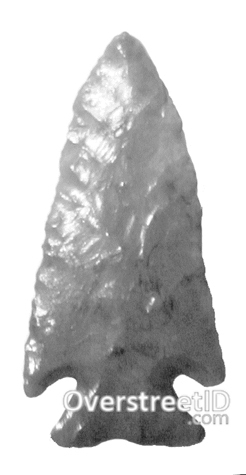 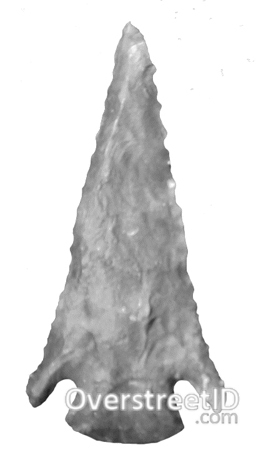 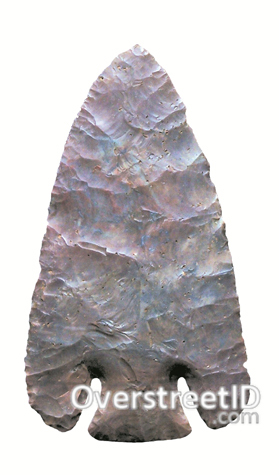 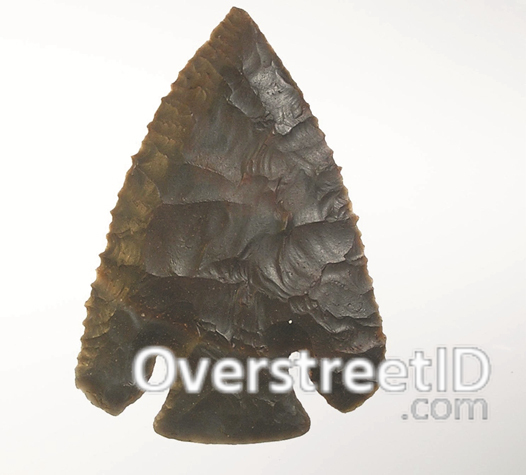 A medium to large size, broad, corner notched point that is beveled on one side of each face. 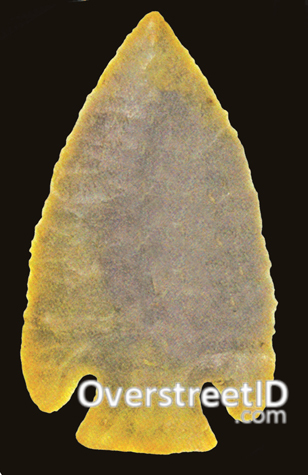 The beveling continues when resharpened and creates a flat rhomboid cross section. 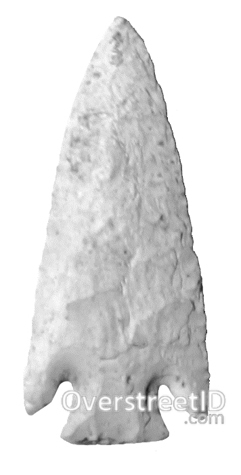 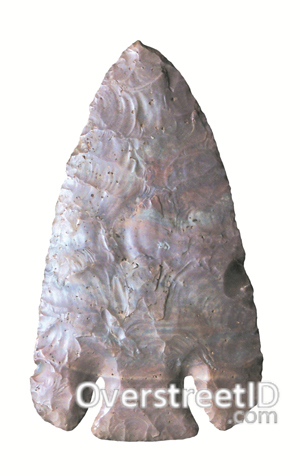 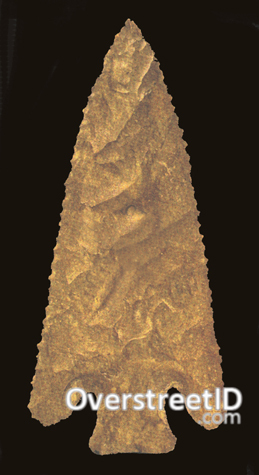 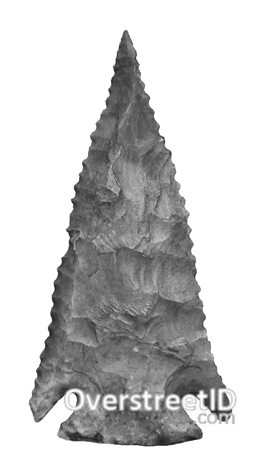 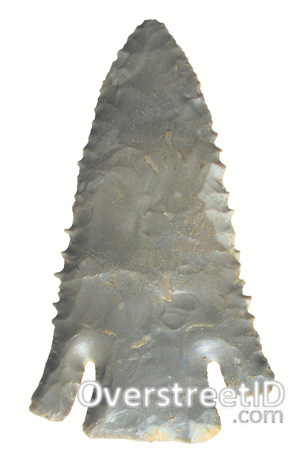 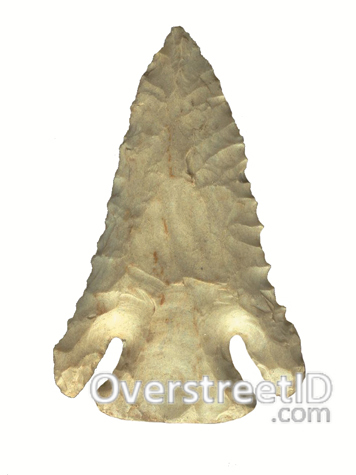 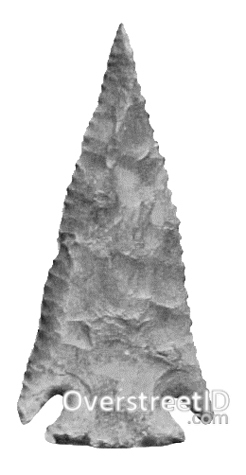 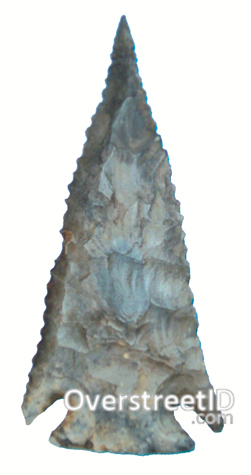 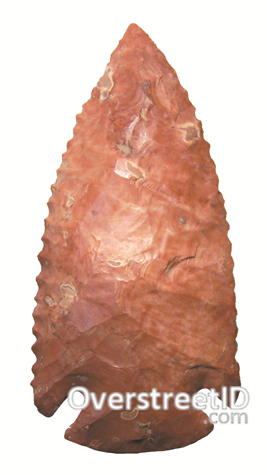 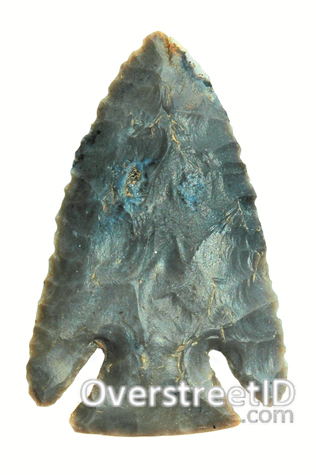 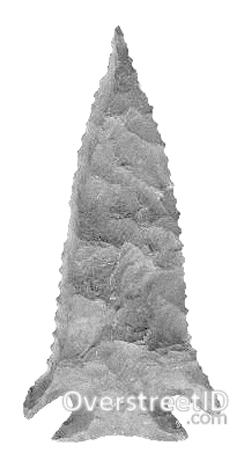 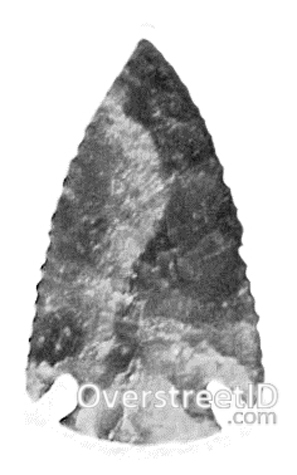 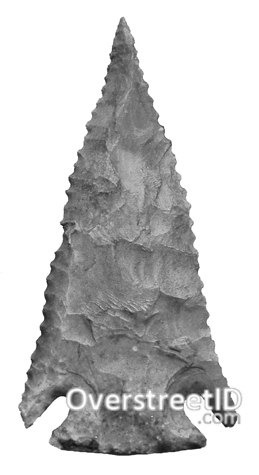 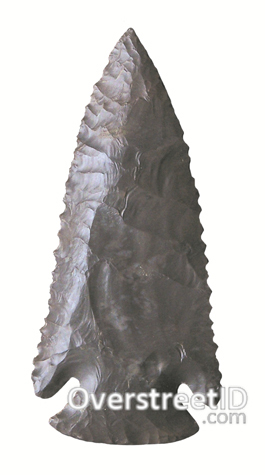 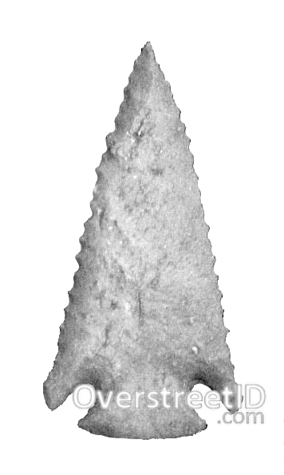 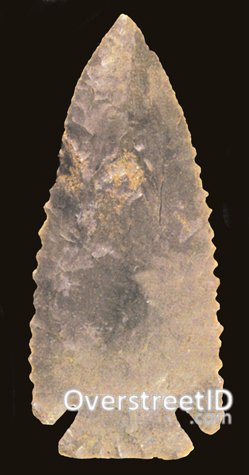 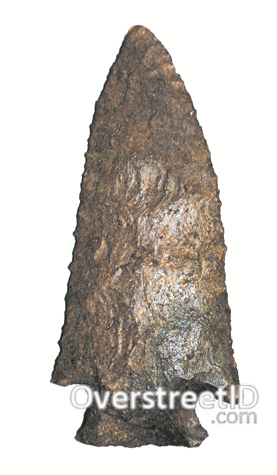 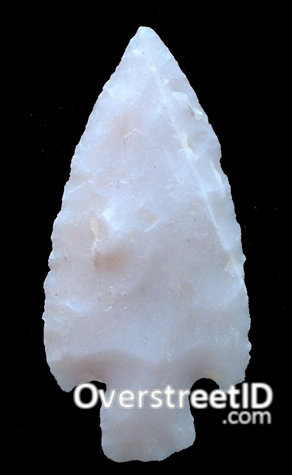 Most examples are finely serrated and exhibit high quality flaking and symmetry. 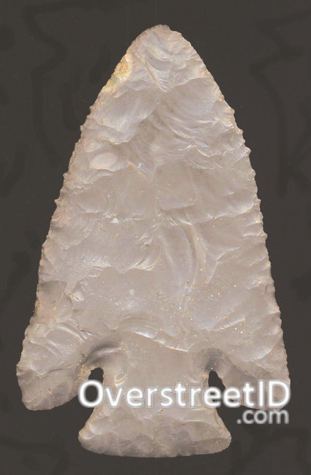 Also known as Deep Notch.